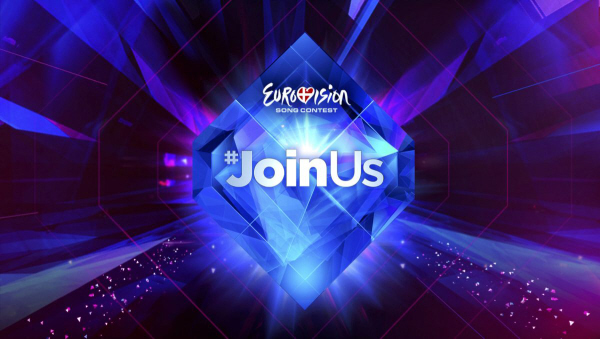 HAT TIP TO EUROVISION.TV FOR THE GRAPHIC! It's that time of the year again where, in one country in Europe (Turkey? Israel? Azerbaijan? ), around forty countries come together to sing their contribution to decide upon a song for Europe. As a frequent traveller to Europe, I'm always amazed at how well our foreign friends have managed to master our language. English can't be all that easy given that we don't give genders to our nouns, and have a tendency to use several different ways to say the same thing. 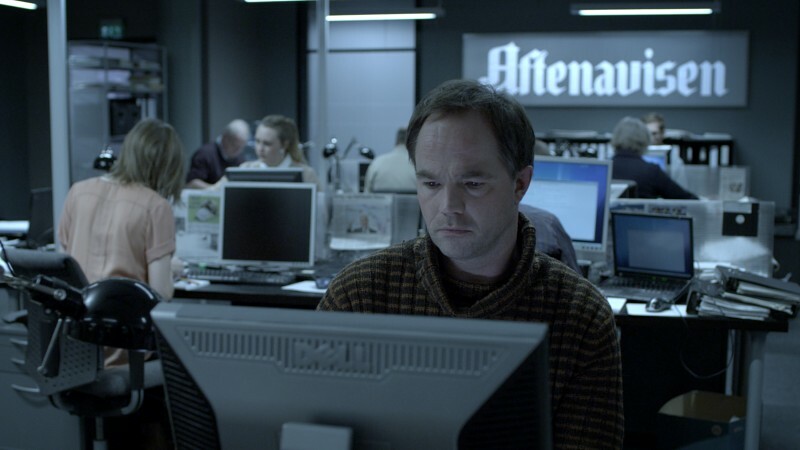 That said, with the pervasiveness of English language television, most European countries have programmes aired with their original soundtrack and subtitles in the local lingo. I still can't get over the fact that Heart Beat (Nick Berry, Policeman, 60's Britain) is such a hit in Finland! 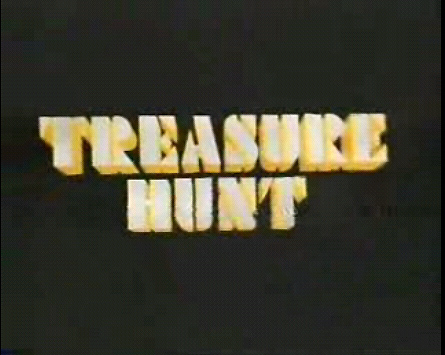 As I continue my walk around the televisual vaults, or rather, watch Challenge because there's nothing on, I was surprised to see them re-running the Sunday afternoon stalwart, Treasure Hunt. Two contestants in the London Studio aided by former BBC Newscaster, Kenneth Kendall, guide skyrunner Anneka Rice and her Helicopter around an area of the UK to solve and find clues that eventually lead to a "treasure". Annette Lynton "adjudicating" and timekeeping throughout using what looks like a Commodore PET and monitoring progress using a somewhat naff map and a sharpie marker pen. Back in the 80's, Treasure Hunt was cutting edge stuff, but watching it now, it feels rather dated... the helicopter, the communications pack around Anneka's neck and of course, the clothing. Looking back, Kenneth Kendall was an interesting choice of frontman given his background in newscasting, and clearly he was from a bygone era; calling Annette a "Good girl" is a prime example of why I say this. Nevertheless, Kendall was good at guiding the contestants towards the information they needed to solve the puzzle and even though he wasn't the archetypal game show host, he had charisma, and was a true gentleman. Kendall died in 2012, and his partner, Mark Fear committed suicide four months later after becoming overcome by grief. Treasure Hunt was clearly a thinking man's game, the clues were Times Cryptic Crossword style puzzles that guided you to five locations in an area leading to the final treasure which tended to be something pretty unextraordinary. The prize for solving all 5 clues and finding the treasure? A whopping £1,000 in the form of a multicoloured cheque drawn upon Williams and Glyn bank. As an avid fan of TV Gameshows from the 80s, 90s and early 00's, Fifteen to One (along with BlockBusters and Countdown) was staple fare after getting home from school/college/University. Fifteen contestants battling it out against each other over three rounds. Two quick fire questions in round one, and then nominations throughout round two until the fifteen contenstants had been whittled down to just three. 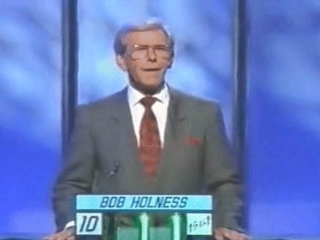 After a commercial break, host, William G Stewart would spin through 40 general knowledge questions until either all three contestants had lost their respective three lives or the question set had been exhausted. The no-nonsense approach of Stewart with minimal "chat" with the contestants made this a fast paced game with difficult questions being fired one after another for the duration of the show. It was a "geeky" show for geeks, but with an all-round appeal that attracted a wide audience. Axed in 2003, I've never felt that Channel Four has managed to replace this show with anything near the substance or staying power that Fifteen to One had, and despite rumours of a return, nothing ever materialised until yesterday. I noticed on my Freesat box that Fifteen to One had been scheduled, so I set series record. On the "information" screen, it said that Sandi Toksvig would be hosting the revival. Sandi Toksvig has also been pretty regular entertainment consumtion for me, she was in Number 73, Call My Bluff and I love to hear her on the Radio 4 "News Quiz", but even I was surprised and perplexed that she had been chosen as a replacement for William G Stewart on Fifteen to One. 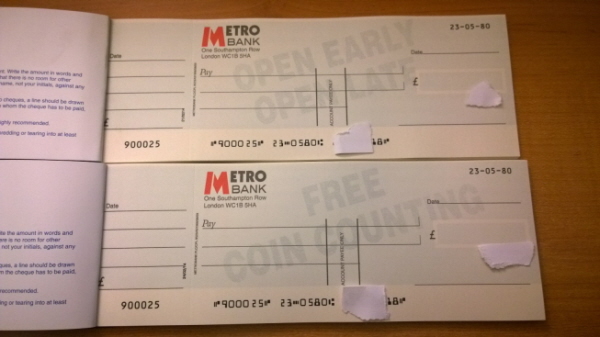 As a Brit, I always find that I like to cheer for the underdog, which is why, when Metro Bank decided to open in the UK, I opened an account with them. They come across as a little quirkier than your average bank; instead of closing branches they seem to be aggressively opening them throughout the South East, branches seem to have no expense spared in their design and execution and the staff seem to always want to have a coffee with you. This is all very nice, but their underlying raison d'etre is to provide an efficient banking service. Is the Nokia Lumia 1020 Reliable? A question to which my personal answer would be no. In fact, the Lumia 1020 is the most unreliable Nokia phone I've ever bought. I'm now on my second handset; within a week of purchasing the first, it began to reboot randomly, sometimes up to 15 times a day. If it didn't reboot it froze which needed a soft-reset (volume down and lock button together) to kick it back into life, and after one morning of reboot after reboot I had it changed at the local dealer. Read more about Is the Nokia Lumia 1020 Reliable? 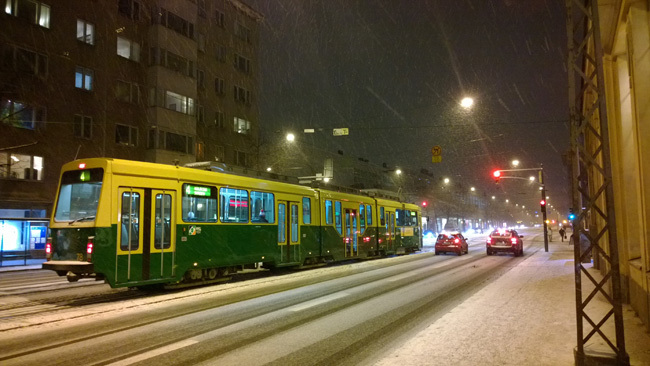 Here's a photo I took with my Nokia Lumia 1020 while in Helsinki this January. I thought it was a nice picture so I thought I'd share. 1. Putting unnecessary crap all over the bed. A hotel bed is for sleeping in; I don't want to see teddy bears, fluffy cushions or flower printed comforters on the bed - it takes me time to throw it all off, and even more time for the cleaner to put it all back on. Save everyone's sanity and don't put that crap in the room. 2. Preventing the guest from opening a window, or restricting the amount the window will open. I'm an adult with a relatively decent amount of common sense - I managed to navigate your booking site. I solemnly promise that I will not throw myself out of the window during my stay. All I want is some fresh air in the room, therefore allow me to open the window as little or as much as I want. If your excuse for this is that the room has air conditioning, either allow me to select the temperature that I want (not restrict between 21c - 23c) or have something that kills the air conditioning when the window is open to save energy. Eurovision: Where are they now? Read more about Eurovision: Where are they now? There's no doubt that I'm a fan of North Wales; the rugged coastlines, tall mountains and winding country roads can give the sense of isolation you need when you need to 'get away from it all'. 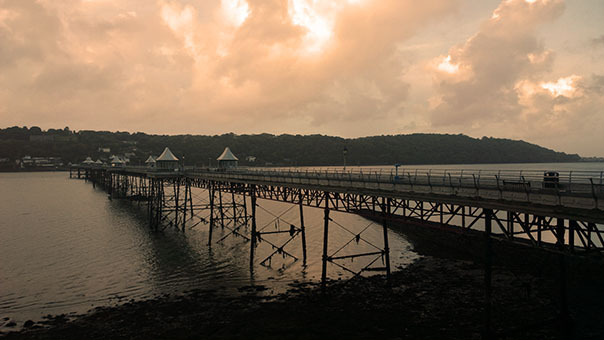 My love affair with this part of the British Isles started back in 1996 when I went up to Bangor for an interview at the University there and continued as I spent three years of my University life in the city. Fourteen years after leaving the city I've tried to go up there every couple of years but as things get busier at work, making time for a jaunt to my favourite places can be hard work. The last time I made it up there was in 2008, so being very overdue for a look around, I headed up there for a long weekend.